Following his exit from The Clash 30 years ago, Mick Jones wanted to go into a direction that he was comfortable with and began to play with while still in "The Only Band That Mattered." By forming Big Audio Dynamite, Jones, was able to expand his reggae, funk, and ska influences, as well as his punk roots and then mess around with a popular new genre that was growing at the time called, hip-hop, and by doing doing so, he was able to bring it to the commercial masses. 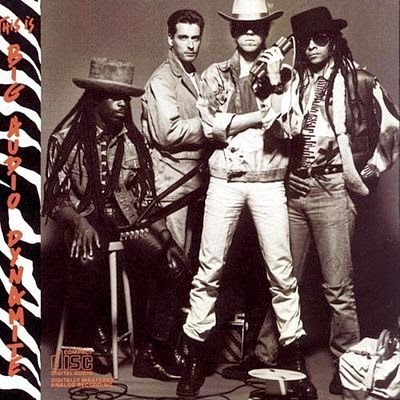 In 1985, his band released their debut, This Is Big Audio Dynamite. The album, which was in no means a hit, peaking at 103 on the Billboard charts, it did begin to lay the ground work as to what as to come from Jones' new band and prove that he could do it on his own and without The Clash. Jones, who wrote and produced all of the tracks, took his vision to Columbia Records where they would be the home of the band until they broke up in 1997. This Is Big Audio Dynamite didn't produce a hit, but it had singles, in fact, B.A.D. would not have a mega hit until 1991 with "Rush." However, as the 1980's went on, the sound that B.A.D. were doing was getting very popular. Yet, all of this started with a simple concept and idea that Jones had, which then would become a desired sound as they kept making records. In 2011, the band reunited, while no word of a new record has been mentioned, 29 years ago, this underrated classic arrived to start the explosion.